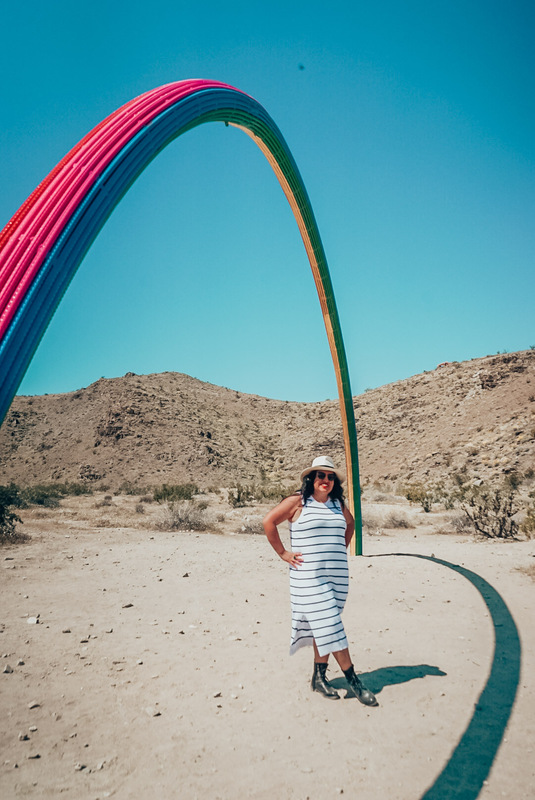 I’m back with a fresh post with 2 of the Desert X 2019 locations for you! 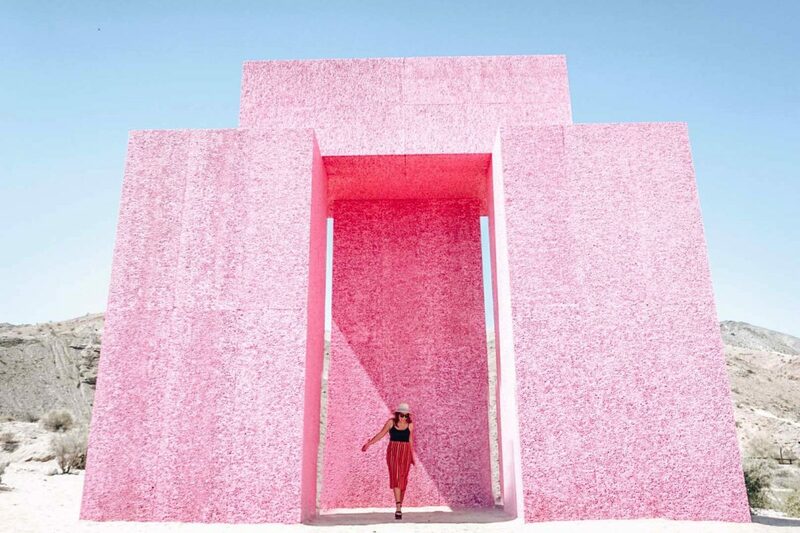 If you will be in Coachella this year, these would be some cool stops for you along the way. First of all let me tell you that Desert X is a project that is produced by a charitable organization. 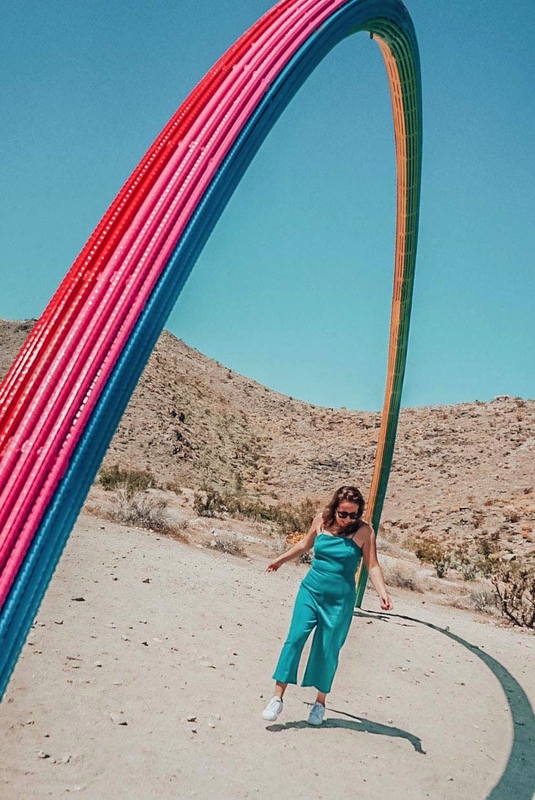 The organization showcases artists to create and bring awareness to the Coachella Valley’s environment. There are various art works are located throughout the valley. You actually need the addresses to each one because they are pretty scattered, not all in one place. Dive-in is a combination representing global warming and the extinction of the drive-in movie. Kind of scary when you really stop to think about, the extinction of our planet due to global warming! Isn’t that so interesting to look at, better yet ponder? I for one loved it! 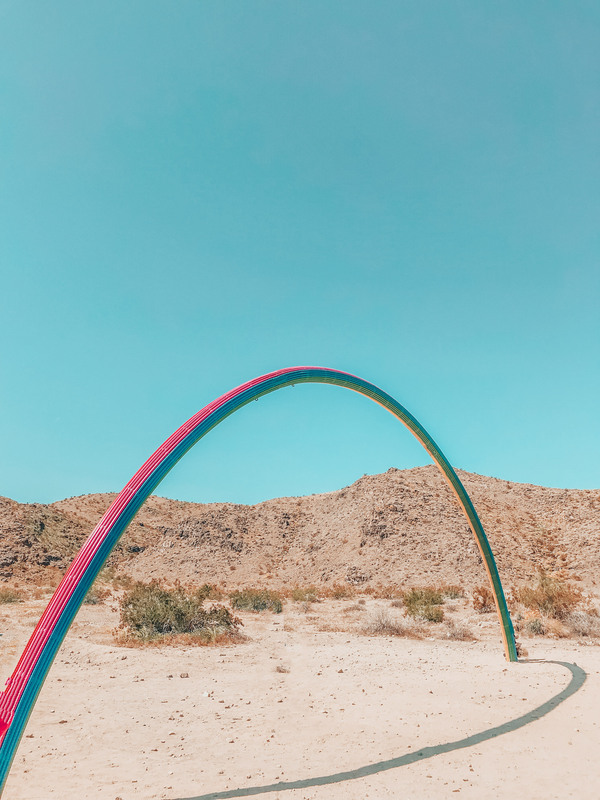 This installation by Pia Camil is called Lover’s Rainbow. It’s located at 69930 Highway 111, Rancho Mirage. More info on the piece here. Lover’s Rainbow is supposed to shed light into the current immigration policies. The bent rebar going into the ground symbolizing putting hope back into the land. There is another rainbow located in Baja, Mexico and both are supposed to prompt people to see the immigration issues from two perspectives. Now that is something to think about! My sister Claudia helps me capture many of my adventures. She’s the rainbow in my clouds! It was so fun to hunt for these works of art! Since they are all a part from one another my suggestion to you is that you check to see which you would want to visit before making the trip. To see if you can hit all the spots in and around the same area at once instead of backtracking. After all these are just two of the twenty art works featured in this years Desert X project. As an Art lover, I was happy to have had the chance to go this year before the exhibition closes on April 21st. 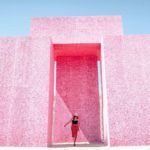 I hope this post has been informative if you’ve never heard of Desert X, and that you enjoyed my images from my experience there! 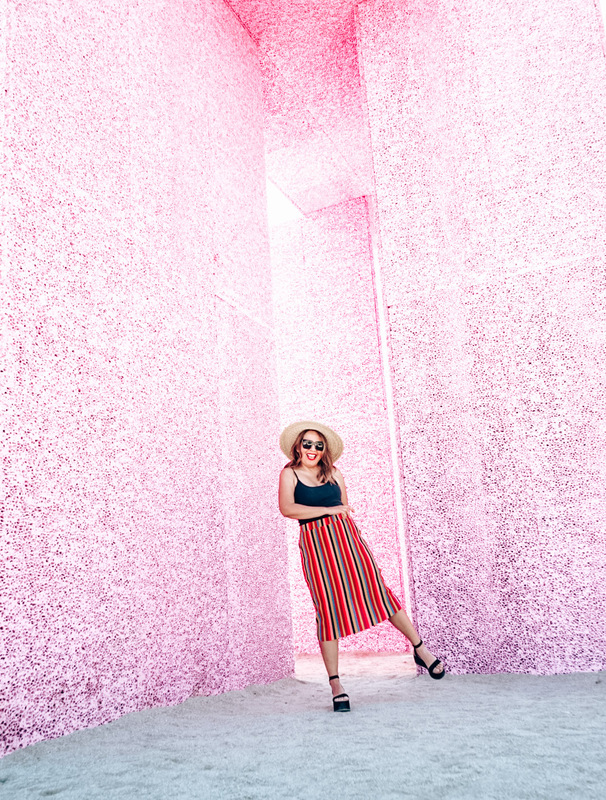 If you happen to visit Desert X this year and post on Instagram, tag me so I can see your images from there! Great post! I ENJOYED THE FASHIONS, PHOTOS, AND INSTALLATIONS. I’ve been seeing these art installations everywhere on instagram and I wish I could check it out in person! These photos came out great!! I had no idea there was such cool artwork there. And how fun to include your sister. You both look fabulous!! Oh my goodness, this looks like it was so much fun! 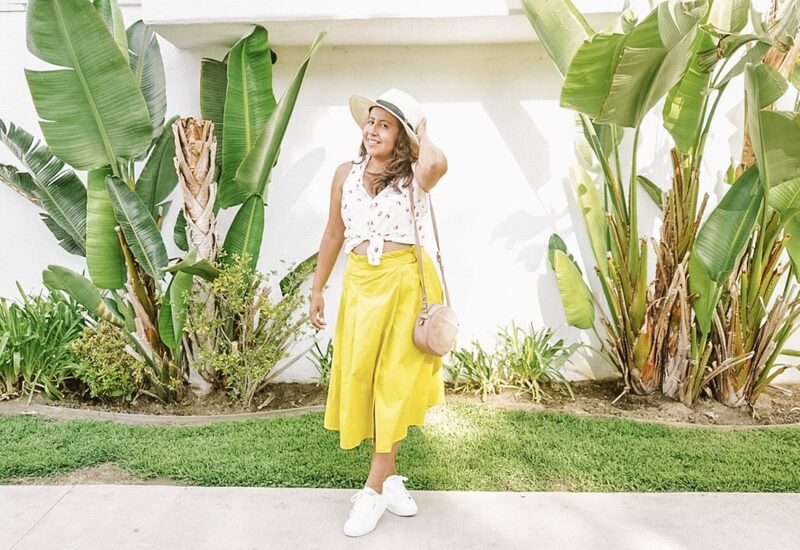 Loving your outfits. These pictures are so cute, Tania. these are two wonderful/beautiful places. These images are breathtaking. I loved this on instagram and still love it. Pure art!!!! 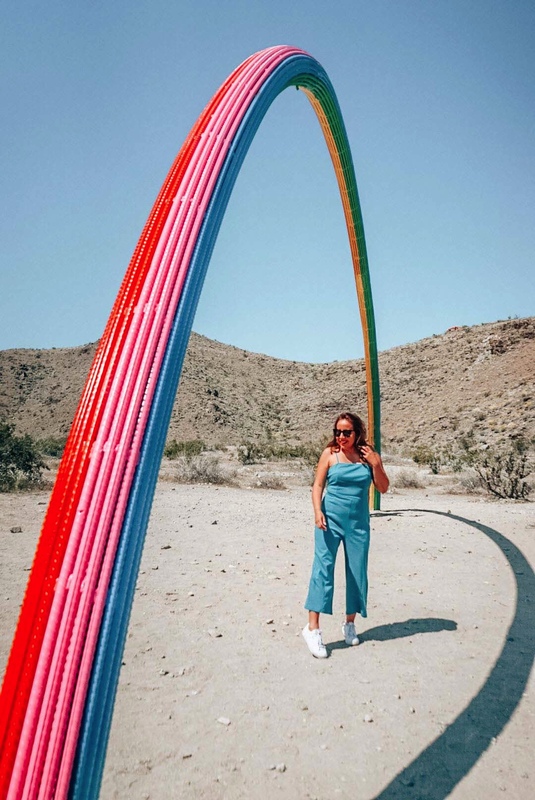 THESE ART INSTALLATIONS LOOK BEAUTIFUL IN THE DESERT. tHANKS FOR SHARING. i ALSO LOVE YOUR OUTFITS. sO COLOURFUL AND PRETTY. pERFECT FOR COACHELLA. Ahh I’m seriously missing out on all the Coachella fun this year too!! 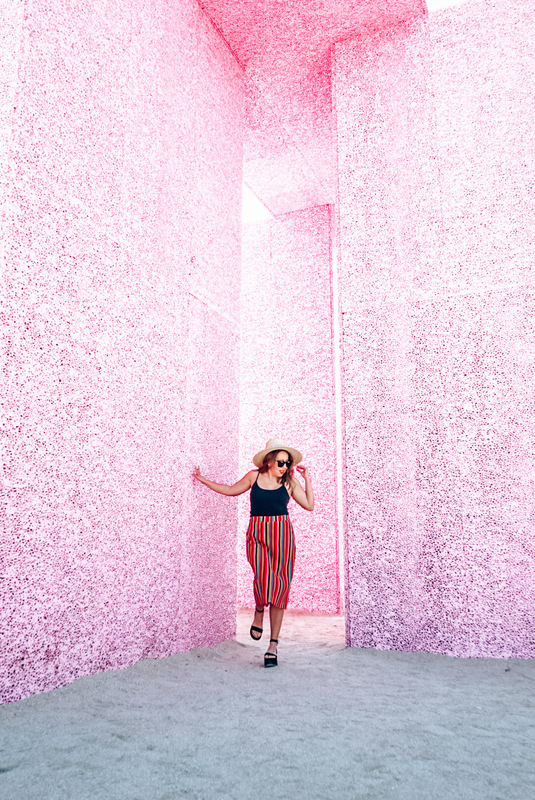 These photo spots look amazing!